HOW DO YOU HANDLE FEAR? 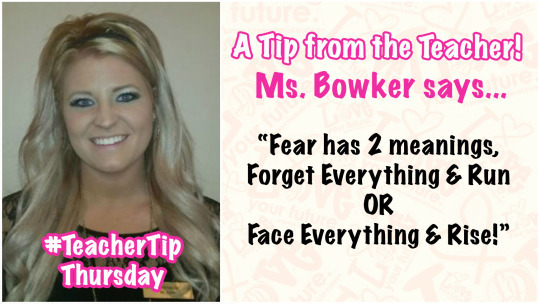 – A TEACHER TIP FROM MS. BOWKER! Thanks Ms. Bowker for participating in today’s LJIC Teacher Tip! Are you interested in learning more about upcoming programs and starting your journey at La’ James International College? Call 888-880-2108 or visit www.LJIC.edu today! BECOME A PART OF THE LJIC FAMILY TODAY!